Jabba got mugged! 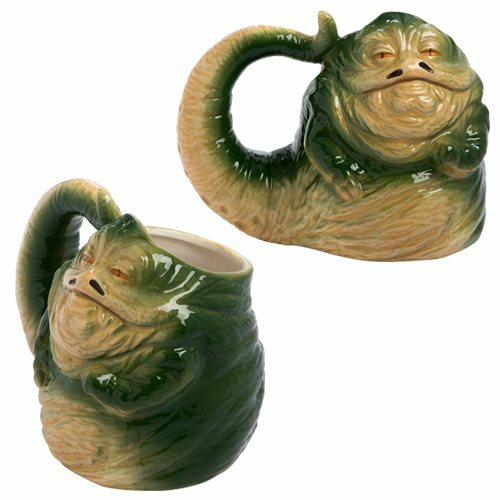 You've never seen a mug like this Star Wars Jabba the Hutt 20 oz. Sculpted Mug! Shaped just like slug-like alien Jabba Desilijic Tiure, it's custom sculpted and beautifully crafted to make it a unique collectible. Microwave safe. Hand wash recommended. Ships in a full-color gift box.